As I drove around Indianapolis looking up old Charleston-related addresses last week, I came across a ghost sign on Bellefontaine that rang a bell. The painted words “F. X. Erath” were faintly visible on the side of an old brick corner building. 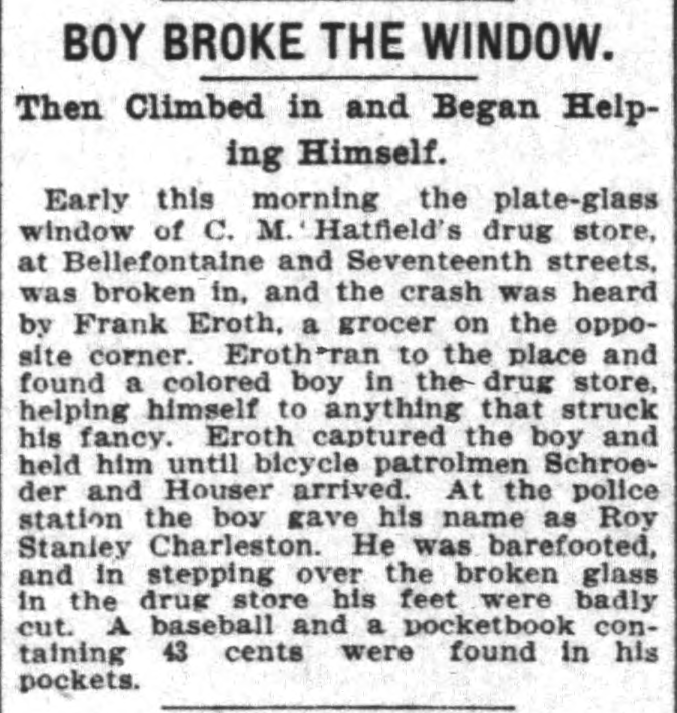 Frank Erath, I remembered, was the grocer who discovered and held Oscar’s oldest brother Roy in July 1900 after Roy had broken into the drugstore next door–apparently in order to steal a baseball, among other things. Here was the Indianapolis News’s story of July 24. Roy was only 11, but he was booked for burglary and petit larceny. In November, after a grand jury returned an indictment, he was committed to the Indiana Reform School for Boys. Things turned out alright for Roy, fortunately. He became a champion prizefighter (locally) and a beloved father. 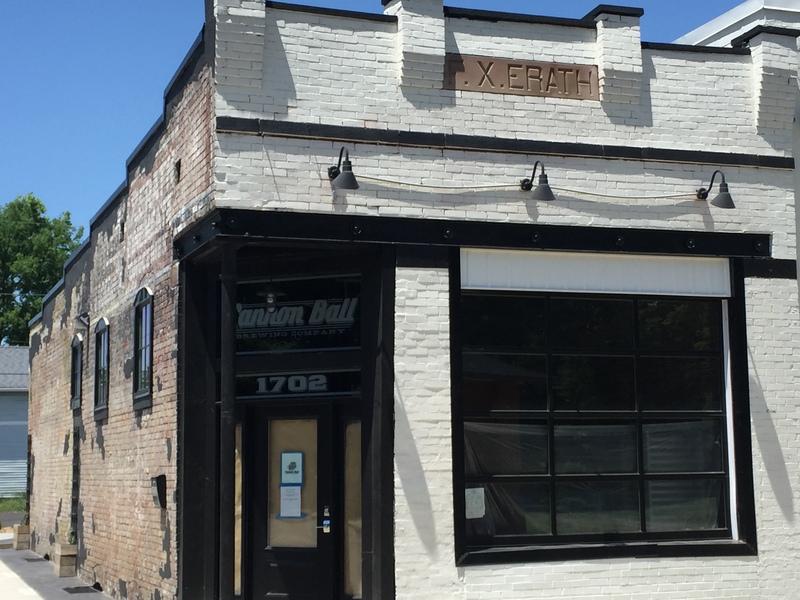 Today, the Erath grocery is being redeveloped by Cannon Ball Brewing Company. I believe the building across the street, which is being redeveloped by the brewery owners into a restaurant, is the drugstore that Roy robbed.